When I first arrived in Pokhara for my nursing elective, I was picked up at the airport by a member of the Work the World team. My first impressions of Nepal were that the weather was lovely, and when I was taken back to the Work the World house (that would be my home for the next three weeks), I had an amazing welcome. I ate some breakfast cooked by the chef, and then went out for a much anticipated tour of Pokhara. The city orientation was fun and insightful; we went to the local markets and tried some traditional food, as well as to to the tourist area and had dhal bhat which was incredibly tasty. We saw people making traditional instruments and hand carving wooden items. We also got on a boat to row across Phewa Lake and visited a beautiful pagoda. My first day was unforgettable. In the evening I met all the other students and we played games in the lounge and got to know each other. Pokhara is such a beautiful place, everything there is so simple yet so effective. Throughout my stay we had local language lessons at the house, where we learnt all our basic phrases to help us through placement. The food at the Work the World house was delicious, in fact, dinner every night was great, and the local chefs always made sure we had so many different choices of food: from traditional Nepalese food to the best chicken lasagne I’ve ever eaten. The temperature was lovely at around 30 degrees (86 farenheit) every day, it wasn’t ridiculously hot but still a nice temperature. Being able to see the Himalayan mountains from the roof of the house was so breathtaking. I chose Nepal because of the placement oppertunities, and the stunning scenery; including the views of the mountains, as well as the adventure available in the country. 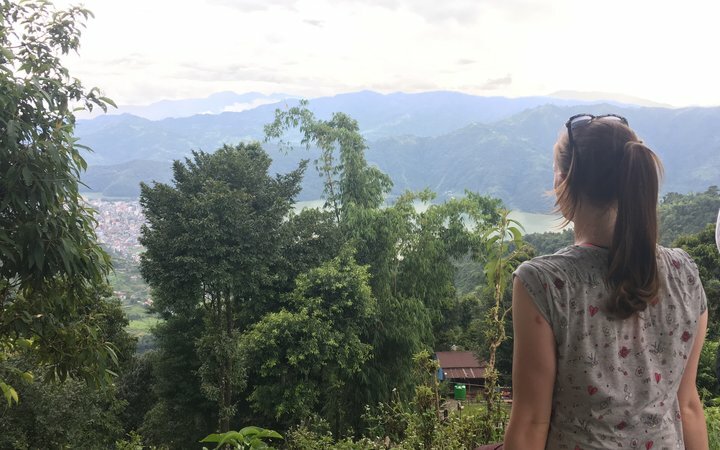 Whilst in Pokhara, I hiked up to the World Peace Pagoda, visited Davis Falls, and an underground cave, and, of course went out to eat at lots of different restaurants. I also hiked up to Sarangot, where we paraglided down the next day. That was definitely one of the best things I've ever done, it was such a thrill and so amazing! We also trekked to the Australian basecamp, which was a very tiring over two days but the sunrise and the views of the mountains from there were exceptional. 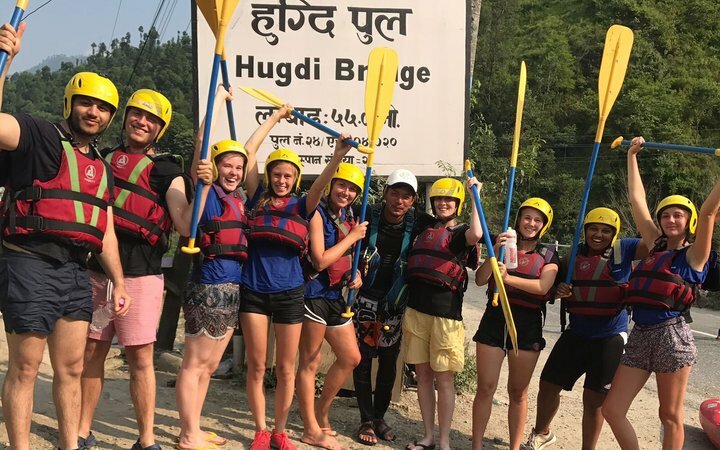 I also went for a full day of white water rafting which again, like paragliding, is something that you have to do whilst in Pokhara, I have honestly never had so much fun! We also went out with the Work the World staff to a cultural night at a local Nepalese spot and got involved with dancing to the Nepalese songs! As well as this, we also got to enjoy the local nightlife in Pokhara. MyTrip, the personalised planning portal provided by WtW, I especially liked the countdown timeline so I could look forward to my trip! I also set up a JustGiving page to help fund some of my trip, and worked a lot at the university in my spare time, as well as baking cakes and making handmade chocolates to sell at the university, all to contribute to the cost of my trip. 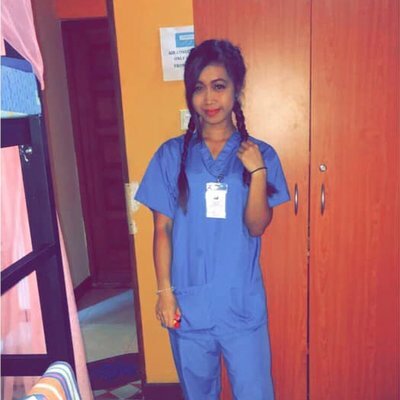 Being a paediatric nursing student, I spent my time on placement going to the paediatric ward, NICU, PICU, outpatients, maternity and theatres, as well as spending an afternoon at a leprosy hospital. I particularly enjoyed NICU and getting to have lots of cuddles with little babies! I saw a baby in the NICU who was very poorly who had hand and foot deformities, as well as a very low heart rate and oxygen saturations as well as having seizures. I also saw a child with active TB as well as lots of children with pneumonia and sepsis. 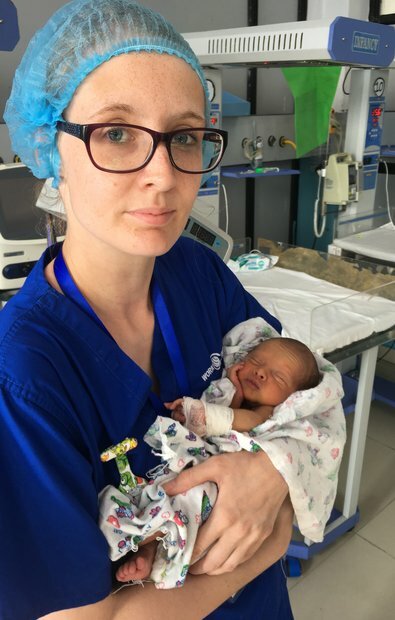 I particularly enjoyed going to maternity for a day and observing babies being born, which was definitely a shock to how they do it in Nepal, compared to back in the UK. Watching caesareans was definitely very interesting, especially as there was frequent powercuts in theatres and watching how staff dealt with these. I found that most illnesses, even if they are just a cold, are treated with antibiotics in Nepal, every child has a chest x-ray regardless of whether it is clinically indicated. As the patients buy their own drugs and needles etc. the nurses didn’t use gloves for most procedures, including taking blood and cannulas. This was definitely very different to the UK where protective equipment is so important. The antibiotics used were very similar to ours in the UK and it was a shock realising patients had to pay for their own treatment including drugs and even needles, which may explain why disposable equipment in the UK is reused in Nepal. I have realised how lucky I am in the UK, how privileged we are to have the NHS and to have free healthcare. In Nepal, there is a higher emphasis on family being a part of the patients care and helping in every way possible including going to collect the prescription drugs. I will try to ensure that I involve patients families in more aspects of care back at home because it is so important for a family to feel that they are able to look after their child in hospital still. 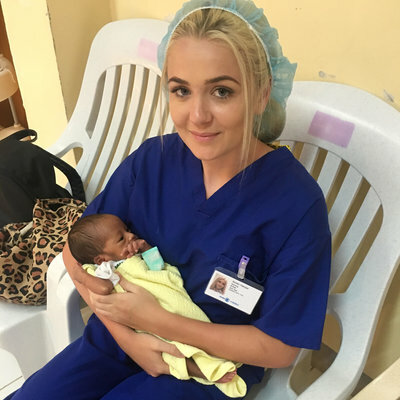 It was very difficult at first to talk to the Nepalese nurses as some spoke limited English, and I spoke limited nepalese, but after practicing and with help from the language lessons I managed to say a few phrases and the staff really appreciated it. They therefore involved me more in the patients care, also offering me food and traditional Nepalese sweets. 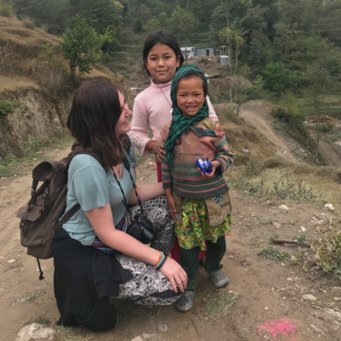 In contrast to my two week city based placement I also decided to spend a week at a rural health post on the WtW Village Healthcare experience in the Himalayan Mountains. We were accompanied by the Work the World guide who stayed with us throughout the week, living with a host family who were lovely! Whilst at the health post we practiced lots of manual blood pressures, listening to chests and understanding general practices including medicines used and how everything works in the village. Each afternoon we immersed ourselves in the culture. I hiked to a lovely sunrise viewpoint, watched the sunset, milked a buffalo, hand churned butter, ground millet, grazed the goats, made leaf plates and corn weaving. We also learnt how to make dhal bhat and millet bread. 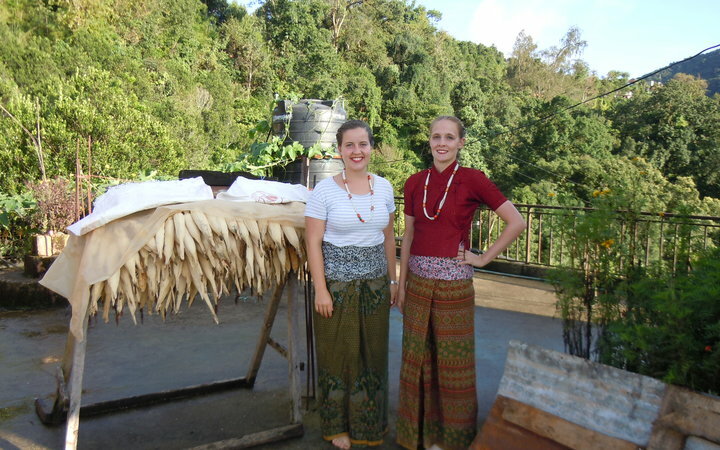 We played with the local children and taught them card games and got dressed up in traditional outfits and had a dance! Life in the Work the World house is really good. Being able to meet students who have been there for a few weeks when you arrive to guide you and tell you places to go and what to expect is really good, and then eventually being that person yourself. The Work the World house is like a family, the staff are there to support you with everything from taxis to taking you shopping! The food is amazing, on Thursdays we had BBQ’s on the roof and every Tuesday we had pancakes for breakfast. Living with other students from around the world was really good, learning knowledge and experience from other countries and sharing experiences was really a great opportunity. 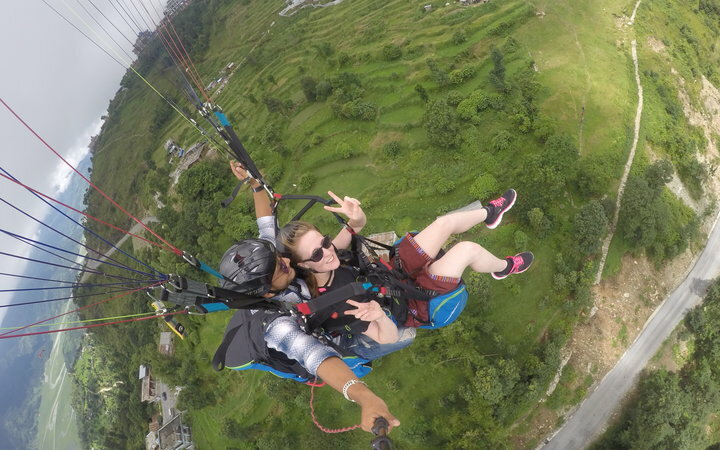 I will always remember the experiences I had in Nepal, including the adventure activities on the weekends, the paragliding and white water rafting were so thrilling and exciting! I would advise other students to attend the language lessons, being able to speak some Nepalese definitely helps on placement, as well as in restaurants and being able to tell the taxi which way to go and to have a polite basic conversation with someone. I would advise other students to get stuck in with everything, to take every opportunity you get and go on all the adventures, including having a rest day at the pool! My overall experience has been fantastic, it has been the best thing I have ever done and I would go back in a heartbeat! I have taken back so much appreciation for what we take for granted in the UK. I loved Nepal and I will definitely return at some point, I would recommend Pokhara to anyone, you will not regret it.